Fighting breast cancer or any other pink-ribbon cause? 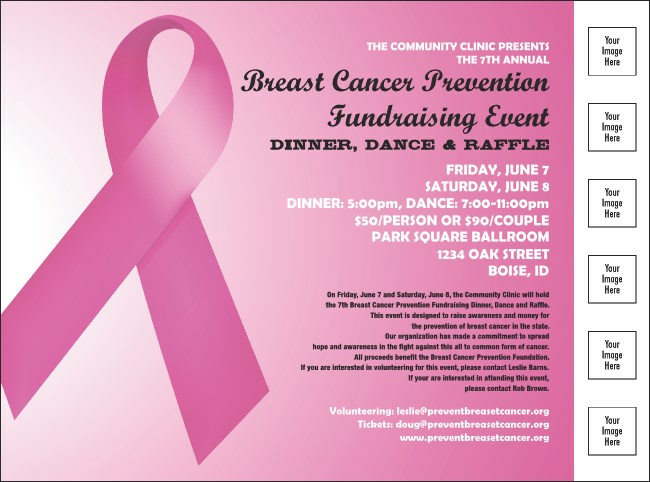 Fight harder with the potent advertising power of this Pink Ribbon Flyer. With six custom image uploads, it allows you to advertise your sponsors, speakers, or headline entertainment with ease. Just add files from your computer right to our ticket template below.